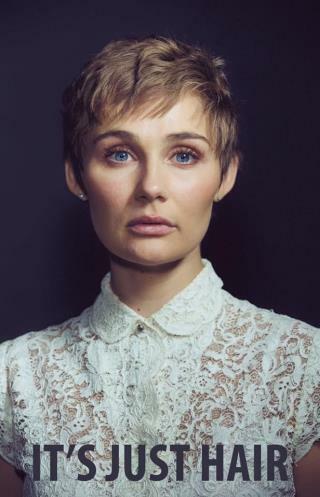 Actress Chops Off Hair, Tells of Own Childhood Cancer: When Nashville star Clare Bowen debuted her new pixie cut on Facebook, lots of fans weren't happy. After she shared her reason, however, warm reactions began pouring in. Bowen was diagnosed with nephroblastoma as a child and lost her hair to chemotherapy. She wanted to make a point to kids who are now in that situation, and to one girl in particular. Amid Panic, Parisians Used Hashtag for Those in Need: Amid the horror of the Paris terror attacks, there was a response from ordinary citizens that the city can be proud of. With the hashtag #PorteOuverte, meaning "open door," Parisians offered shelter to tourists and others stranded by the chaos. Facebook rolled out a feature to help, too. Woman Donating $1 for Every Hateful Tweet: A high-profile Muslim woman in Australia who routinely gets abuse online simply for being Muslim has found a silver lining. She's donating $1 to UNICEF for every "hate-filled tweet" she gets. It's already a pretty impressive total. Cop Sends Flowers to Crying Speeder: When Massachusetts police officer Ashley Catatao pulled over a vehicle driving 40mph in a 30mph zone to issue a warning, she noticed the driver was crying. It wasn't because of the stop—the woman had just gotten bad news about her mom. Catatao later sent the woman flowers, and her chief made a point to single out the move. Teen Explains Relativity, Nabs $400K: If Albert Einstein's Special Theory of Relativity seems too hard to grasp, then a video made by 18-year-old Ryan Chester should be on your must-watch list. The judges who awarded him a $400,000 prize think he made it accessible to non-scientists—maybe because of the popcorn. Good for all the people mentioned in the article. In a world with so much hate, it's nice to hear about people like them.